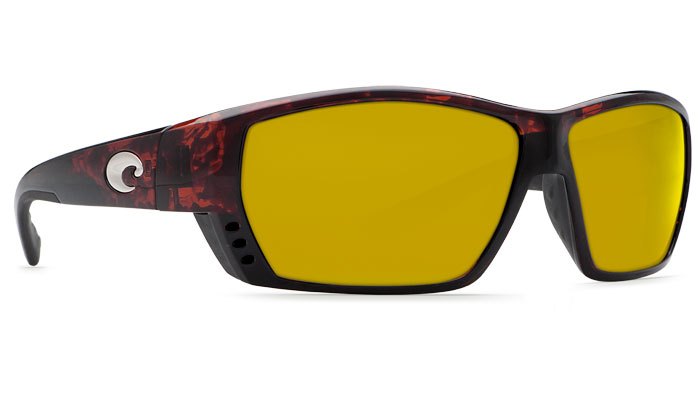 These Tuna Alley glasses have a tortoiseshell frame and Sunrise 580P (Yellow) lenses. These lenses are a high contrast lens and are best for sight fishing in low light. Built by hand and backed for life. Every pair of Costa's include a lifetime warranty. These co-molded frames are a bit smaller, but definitely akin to the classic styling of the Blackfin® frames. Adventure-ready? You bet.